EASTON, PA--(Marketwired - July 17, 2015) - Famous Smoke Shop is a leading online distributor of discounted premium cigars. The company specializes in offering the web's widest selection of cigars at the lowest prices. 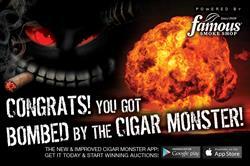 Famous has just announced the release of its new and improved Cigar Monster App for smartphones. The release marks yet another occasion where Famous Smoke Shop has utilized its advanced technological offerings to make cigar and cigar accessory buying easy and fun, all while saving its customers money. Cigar Monster is an easy to use website under the Famous Smoke Shop name where customers can log on to view hourly deals on some of the cigar industries best brands such as Drew Estate, Rocky Patel, Alec Bradley, and seemingly hundreds more. Included in the Cigar Monster website is a weekly Monster Mashup where the best deals of the week, usually along with added bonus items, go back up for purchase at heavily discounted prices. 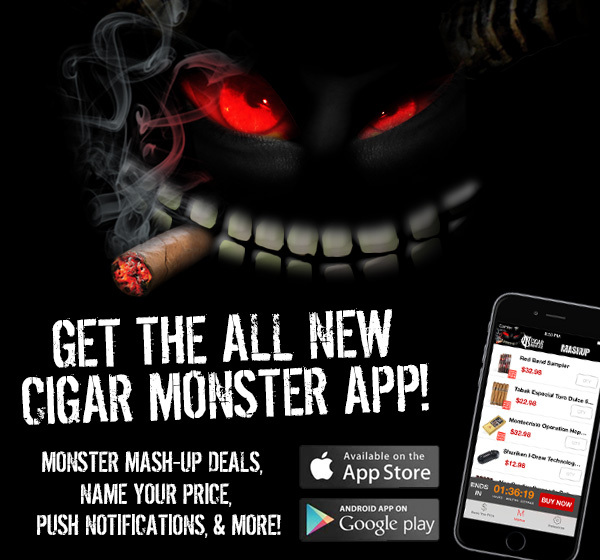 The Name Your Price function is also included in the new launch of the Cigar Monster app that allows customers to name the price they want to pay for a wide variety of cigars from Famous Smoke Shops large inventory of cigars and accessories. "The concept is simple: we want to make cigar buying easy and fun," said Famous Smoke Shop Vice President Michael Vandenstock. "We looked at the facts, and realized customers are on the go more and more now more than ever. With the advancements in smartphone and app technologies, it only makes sense to create an app that everyone can use with ease so they can take part in every hourly deal Cigar Monster offers so they can get in on the action without having to rely on getting to a desktop or laptop computer. The app works across all tablet and smartphone platforms. With this app, we feel like we're taking yet another step into the technological age with push notifications that inform our customers of each hourly deal and when the Monster Mashup is active. 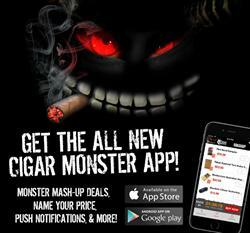 We're sure our customers will love the easy to use, new and improved Cigar Monster app." The Cigar Monster app is immediately available for download for free right now through the iTunes app store and most other major application sites. People interested in learning more about the Cigar Monster app or Famous Smoke Shop should visit www.CigarMonster.com, www.Famous-Smoke.com, or call 800-564-2486. 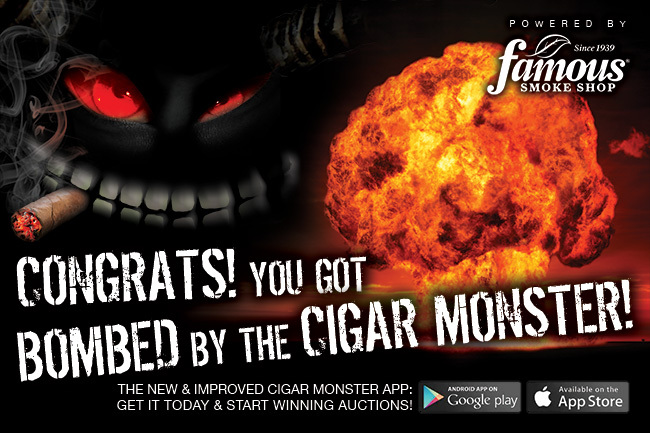 Get the Cigar Monster App Now! Get Bombed by the Cigar Monster!